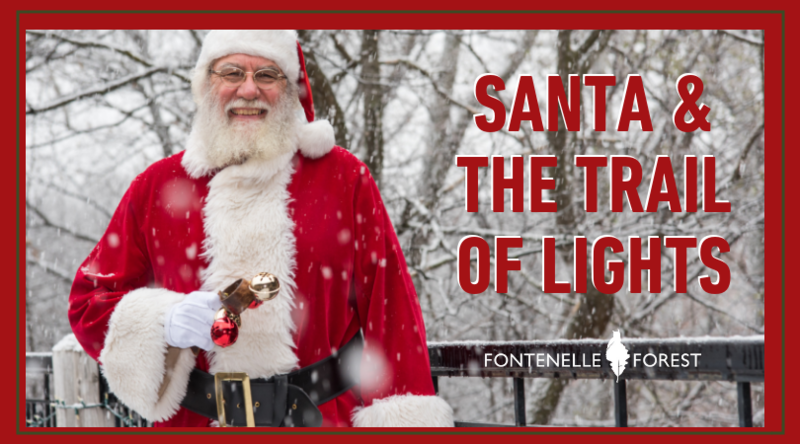 Have a truly winter wonderland holiday experience at Fontenelle Forest! Thursdays in the month of December, the Nature Center will be open until 7 p.m. to allow for night hiking along a lit trail and ADA-certified Boardwalk. Take the 20-minute hike and then come indoors to sit with Santa in front of our Christmas trees, warm up with hot cocoa, and decorate sugar cookies as a family! This is free for Fontenelle Forest members or is included with daily admission.